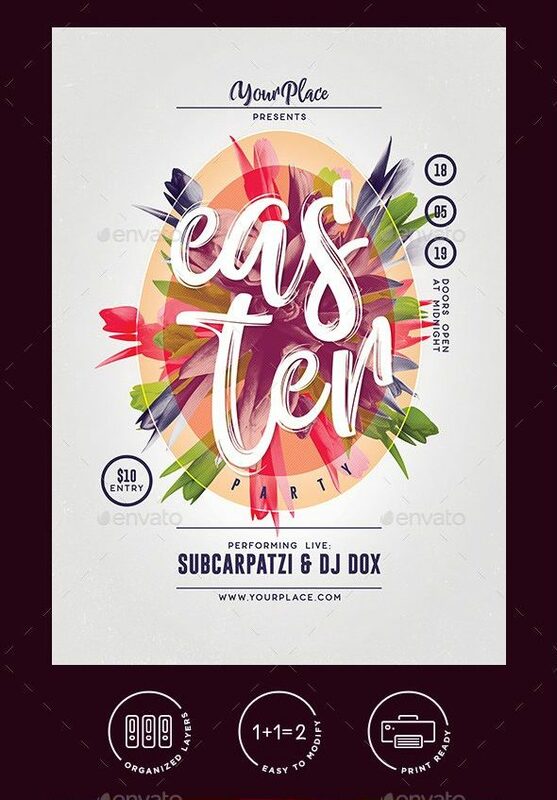 Easter, as a religious celebration, is the most important Christian festival that commemorates the resurrection of Jesus Christ and is the last day and the culmination of the Holy Week. But Easter is being celebrated all around the world even by non-Christians which means this celebration goes beyond religion. 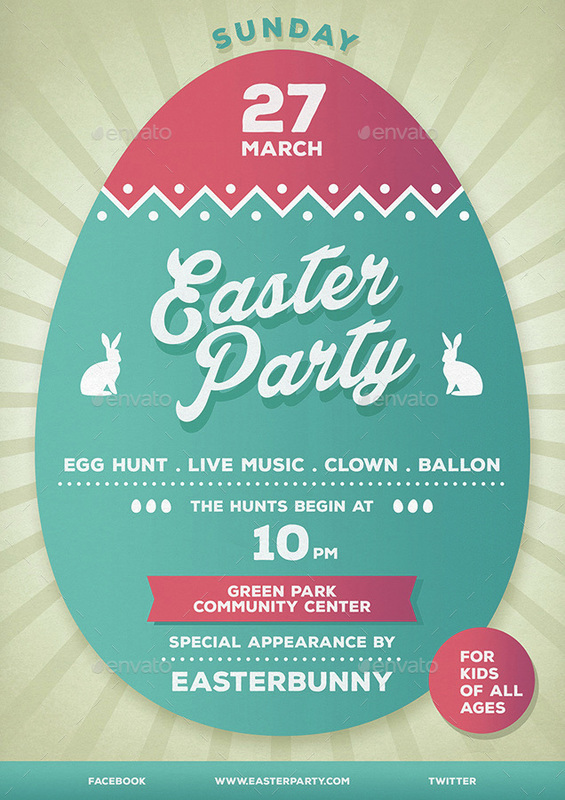 There are parties and even games such as an Easter egg hunt that is being held during this day. 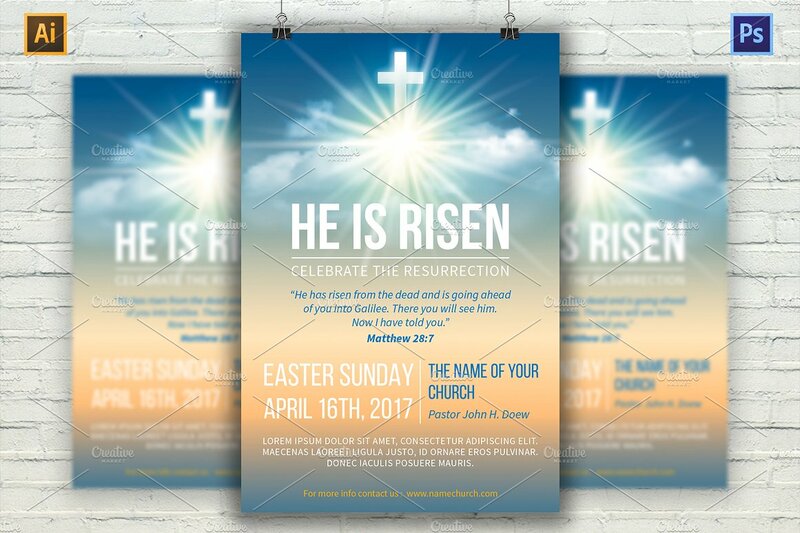 There are a lot of other ways of celebrating Easter and some of it will be discussed here in this article, along with some Easter poster templates that could help you with your own Easter celebration. Knowing what your poster will be all about before you would even start designing for whatever poster you are going to create. 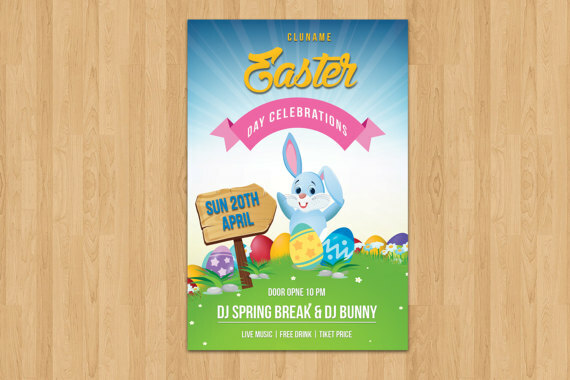 Since you are going to design an Easter poster, make sure you are going to include elements that speak about Easter such as the symbols of Easters like the Easter bunny, Easter eggs, Easter lilies, lamb, palm, and cross. 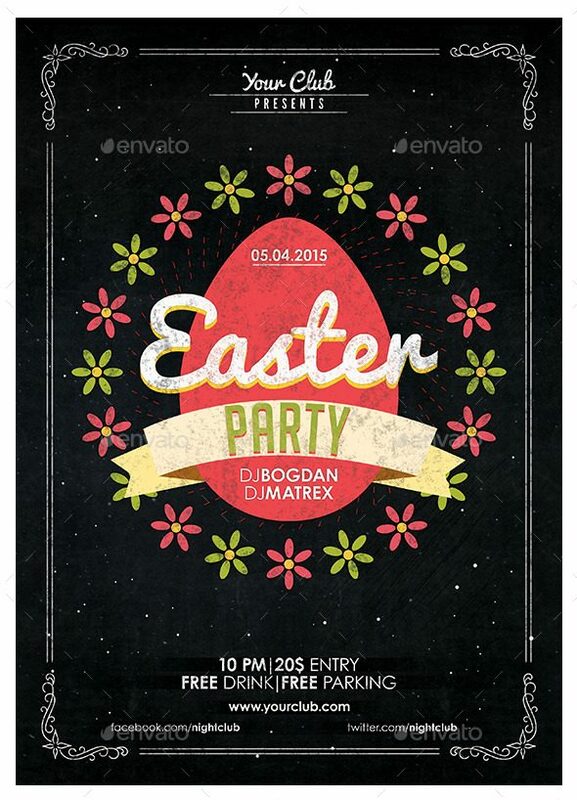 Keep in mind that the main purpose of a poster is to make an event known to the public. Would you even dare to read something that is unreadable? Obviously, no and you would only think that it’s unimportant, so why bother perusing? There is seriously no need for you add a lot of element. Most of the time, less is more. If you put on a lot of elements in your design, chances are, it would be overwhelming to look at. 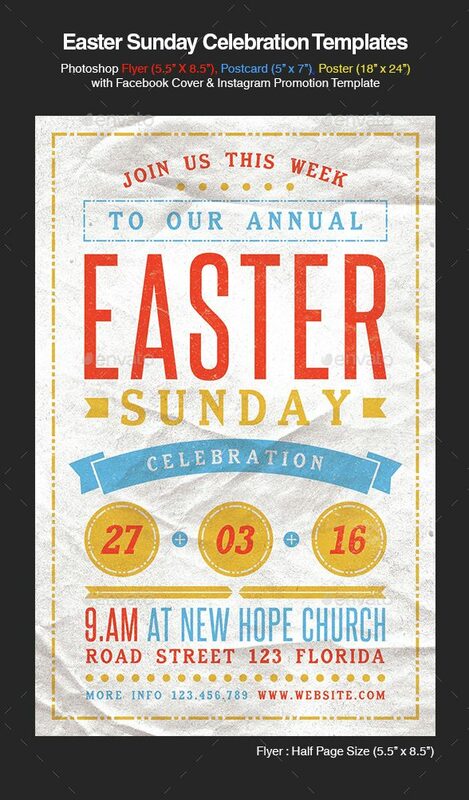 If you want to create an effective Easter poster, then make sure you call to action. One way of calling your target audience to action is to provide all the needed information for the event. 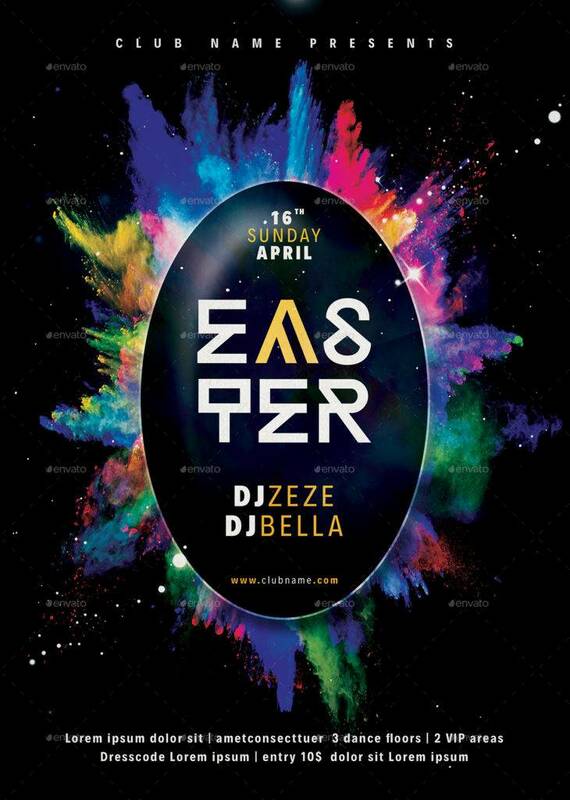 Do you know that there are colors that represent Easter? These colors are usually bright such as the colors yellow and green. It also includes pastel colors. Things that symbolizes Easter are eggs, spring lambs, bunnies and flowers and these are not just because they look cute and fluffy but because all of these symbolizes new life and growth that spring brings and even Easter itself because Easter is celebrated because of Jesus Christ’s resurrection from the dead. 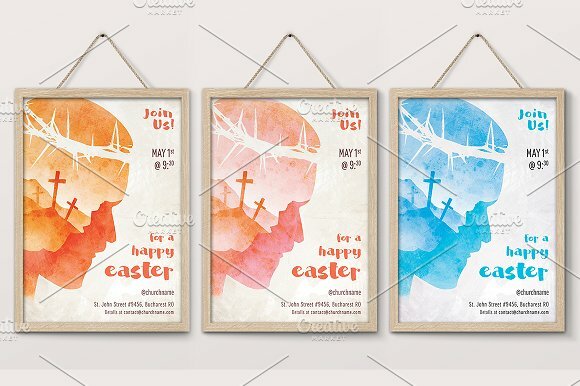 For Christians, Easter Sunday is a religious celebration which is in remembrance of the resurrection of their savior Jesus Christ who came back to life three days after his crucifixion on the cross. For Christians, this celebration symbolizes rebirth and of hope that they despite all the bad things that they have done because they are saved by Jesus Chris. 3. What’s with the Easter eggs? There might be a point in your life where you will be wondering what’s the connection between eggs and Easter. Eggs are actually a symbol of new life which the Easter celebration is all about. As part of the celebration, eggs are decorated and painted with vibrant colors and would then be hidden for the children to hunt. You may also have wondered about the concept of the Easter Bunny. The Easter Bunny is actually originated in Germany before the early 1700’s. The Easter Bunny carries a basket that contains sweets such as pastries and candies, and will then deliver it to the children in the village. One of the ways that the people in Bermuda would celebrate Easter by flying kites. Their own kind of Easter celebration came and began from a local teacher who had a difficulty in explaining the ascension of Jesus Christ to heaven. With a kite that has a frame like that of a cross, the teacher was able to illustrate how ascension would have looked like when the kite would already go up towards the sky. You may also see Labor Day Poster Templates. The celebration of Easter in Brazil is kind of an aggressive one because they would create straw dolls that represent Judas Iscariot, the apostle who betrayed Jesus Christ, and they would hang these straw dolls in the street and would also beat them up. You may also see 24 Examples of Poster Design. While some countries would hunt for eggs, the people in Bulgaria would have an egg fight and the one who remains to have his or her egg unbroken is not only declared as the winner but is also assumed to be the most successful member of the family in the year to come. Another Bulgarian Easter celebration is that the oldest woman in the family would have to rub the first red egg she has colored on the faces of the children as a symbol that she’s wishing a healthy life, and strength to those younger than her. 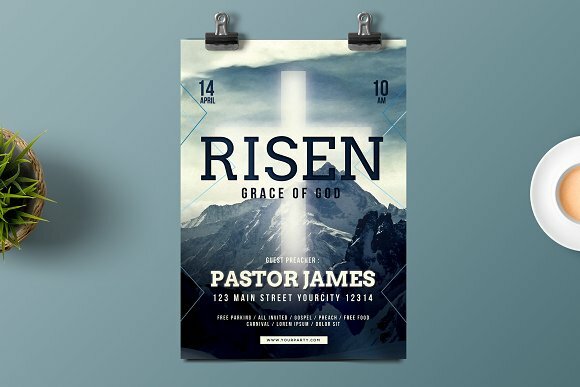 You may also see 29 Event Poster Designs & Examples. Czech Republic’s Easter celebration happens on Easter Monday in which there’s a tradition where men would spank women with handmade whips that are made out of willow and adorned with ribbons. They use willows because, according to their legend, this the first tree that blooms in spring. The branches would transfer the willow tree’s vitality and fertility to the women when they get slapped with. But fear not because this is only meant to be spanked playfully without causing pain to women. You may also see 34 Examples of Vintage Poster Design. Another egg-related celebration: in the town call Haux in France, they would cook a giant omelet that is made with 4,500 eggs! This giant egg would then be fed to 1,000 people at their main square. This tradition started during the time when Napoleon and his army traveled in France’ southern area and stopped at a small town where they ate omelets. And because Napoleon liked it so much, he ordered the people of Haux to make a giant omelet for his army the next day. You may also see 39 Examples of Advertising Poster Design. 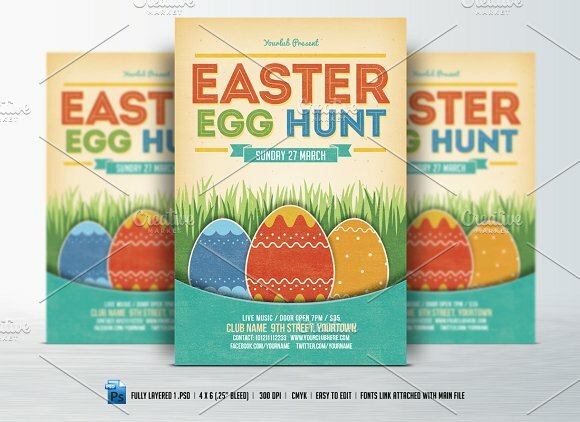 It is is Germany where Easter egg hunt is celebrated. 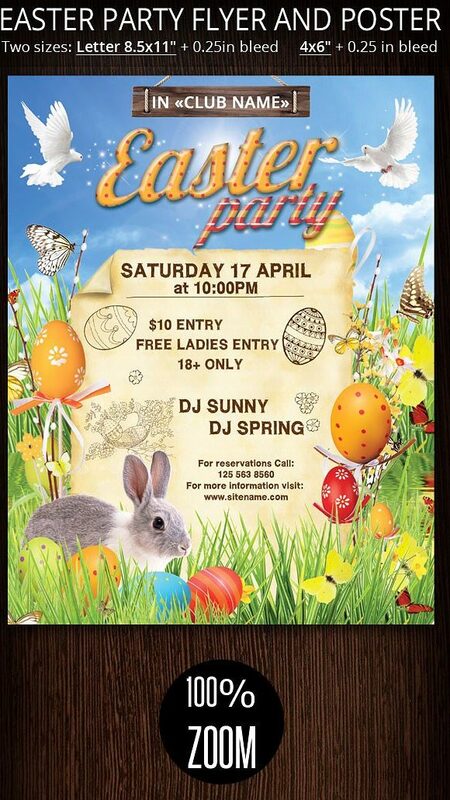 The Easter eggs are being hidden and the children will be the one to do the hunting. The Easter eggs are also being displayed on trees and are found all over the streets. 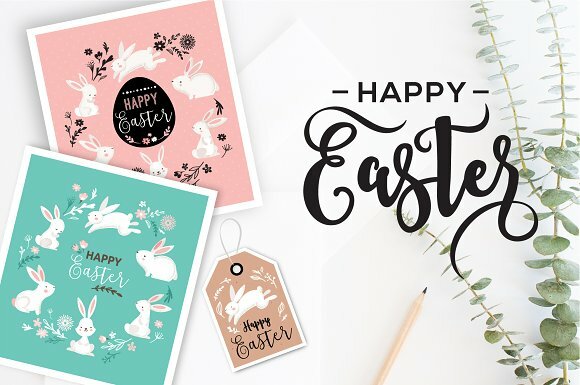 These Easter eggs do not just come in its usual white or brown color, they are decorated to suit the festivity of the celebration. Instead of hunting, Hungarians would do what they call as “sprinkling”. This tradition happens during Easter Monday in which boys would playfully sprinkle perfume or water over a young woman’s head. And the catch? They would also ask a kiss after. The sprinkling is their belief that can help in cleansing, healing, and even including fertility-inducing effect. While others enjoy Easter egg hunts and all the chocolates, in the Philippines, where you can find devout Catholics, they do a procession of public whippings and crucifixions up until Easter. This tradition is an of replicating the suffering of Jesus Christ, which can help in cleansing their sinful souls and curing illnesses. But even with that, they have a gentler way of celebration in which children would be dressing as angels for a procession through town from late evening until the dawn of the Easter Sunday, the day when their savior Jesus Christ is resurrected from the dead. Easter in Sweden seems like a Halloween because children there would dress up as Easter witches with long skirts, colorful headscarves, and painted red cheeks. They would then roam around the neighborhood and go from home to home where they would be trading paintings and drawings with their neighbors and receive sweets in return. Washington D.C. is famous for their annual hosting of the Easter Egg Roll. The Easter Egg Roll is done on the lawn of the White House during the Easter Monday. The Easter Egg Roll involves children rolling a colorful hard-boiled egg on the lawn using a large serving spoon. 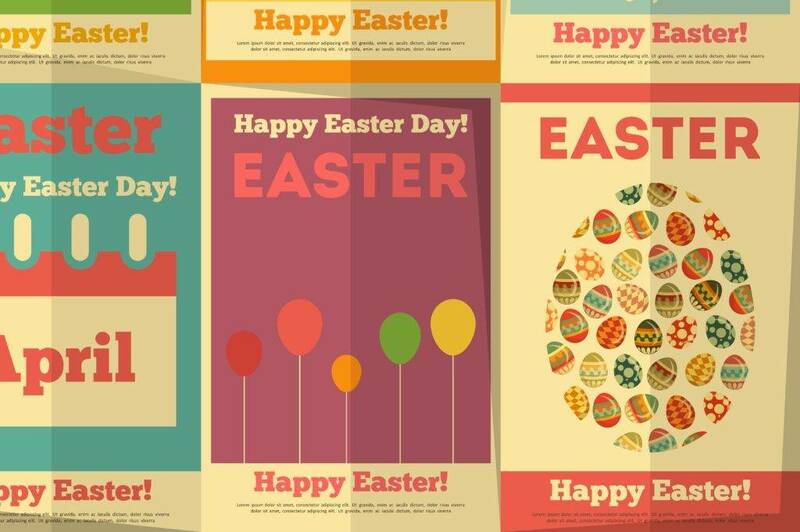 We hope you have learned a lot about Easter with the help of this article and the posters are helpful for whatever kind and style of Easter celebration that you are going to hold this coming Easter Sunday.